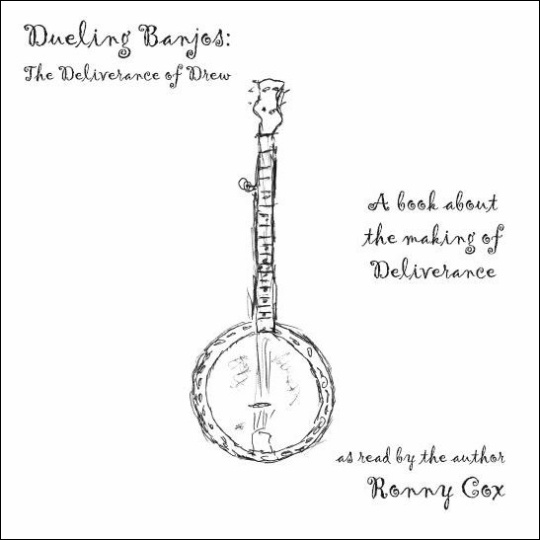 Dueling Banjos: The Deliverance of Drew, is a collection of stories of the making of the iconic movie Deliverance, role from the perspective of one of the four main actors in the film, Ronny Cox, who played the character of Drew. Now the stories are delivered directly in Ronny’s voice in this audio version of the book, as though he were telling them to listeners in the same room. The film was based on the novel by James Dickey, filmed in the summer of 1971, and released in 1972. It remains one of the most recognized films in movie history for being raw, emotional, violent and shocking – yet it leaves a lasting impression of artistic excellence. Ronny is one of the world’s great storytellers, and this audio version of his book includes great anecdotes about his fellow actors, Burt Reynolds, John Voight and Ned Beatty. He tells the real stories behind the filming of the of the most iconic movies of all time.